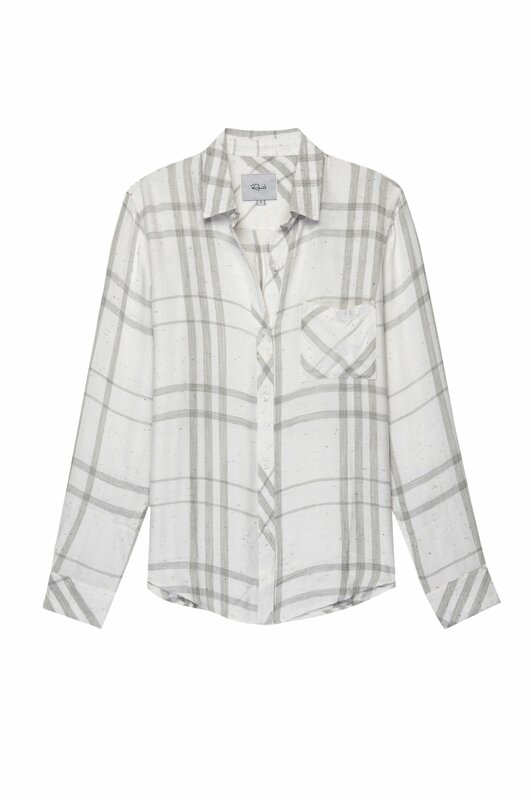 Ultra soft plaid button down, white and grey plaid with multi-color speckle detail throughout. Single layer with one chest pocket. Body length: 26 7/8 ” (Measured from Small).